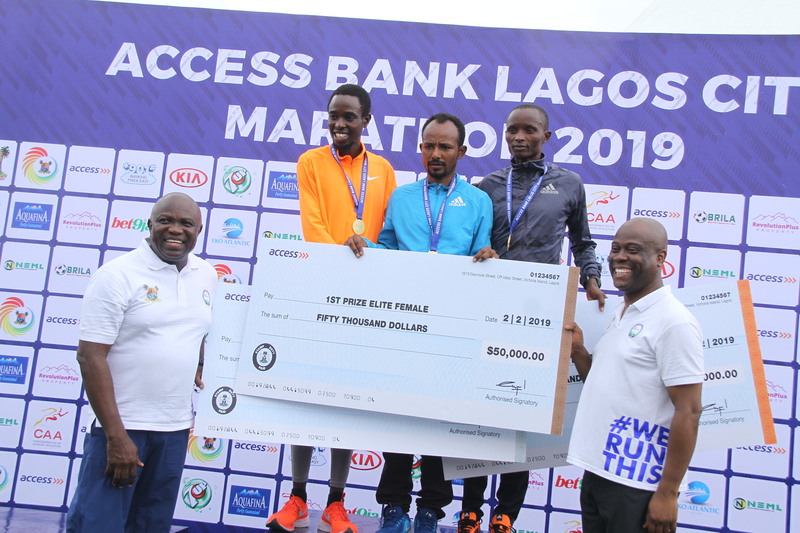 In a time of two hours, 15 minutes and 20 seconds, Kenya’s, Abraham Kiptum who won the maiden edition of Access Bank Lagos City Marathon on Saturday successfully defended his title at the second edition of the race carting away the grand prize of $50,000. 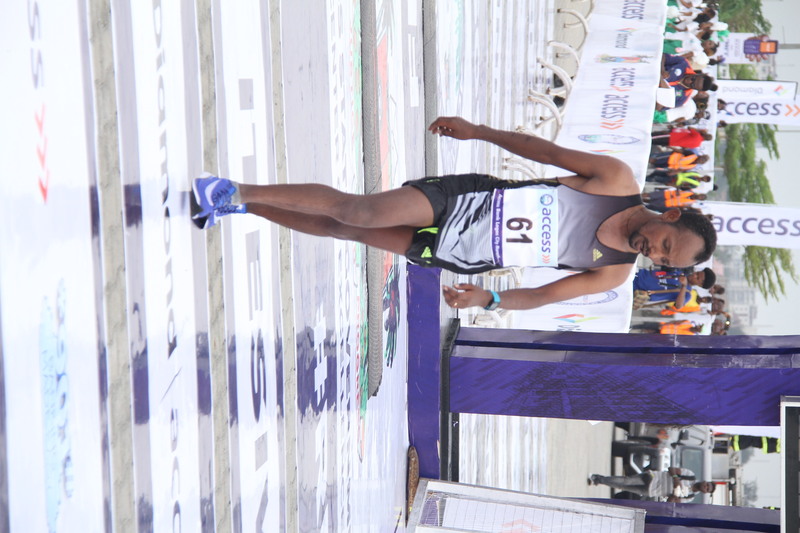 His time was a new record in the Lagos Marathon as he posted a time of two hours, 16 minutes and 19 seconds in the 2016 maiden edition. Kiptum’s compatriots, Ronny Kiboss and Kiprotich Kiroi came second and third finishing in two hours, 15 minutes and 25 seconds and two hours, 15 minutes and 30 seconds, winning $40,000 and $30,000 dollars respectively. 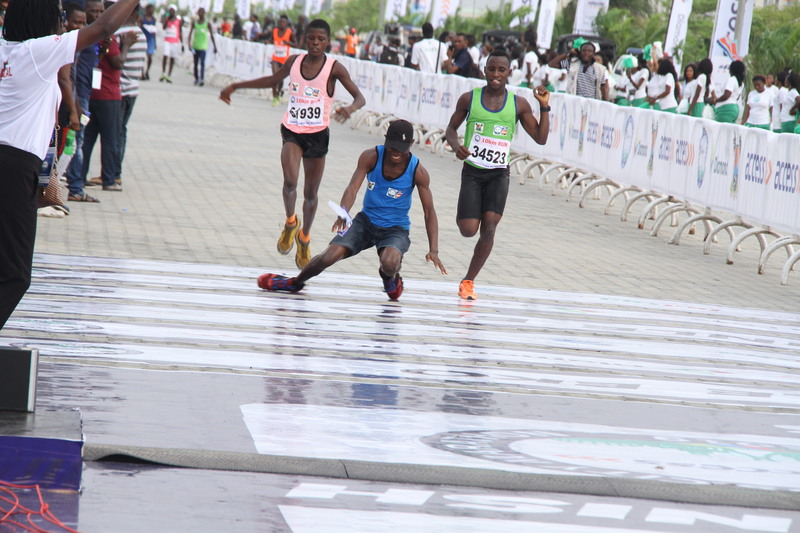 Istifanus Peter Mahan was the first Nigerian to breast the finish tape in two hours, 37 minutes and 51 seconds, while Kefas Williams and Ritji Timothy finished second and third in two hours, 40 minutes and 43 seconds and two hours, 41 minutes and 31 seconds respectively. 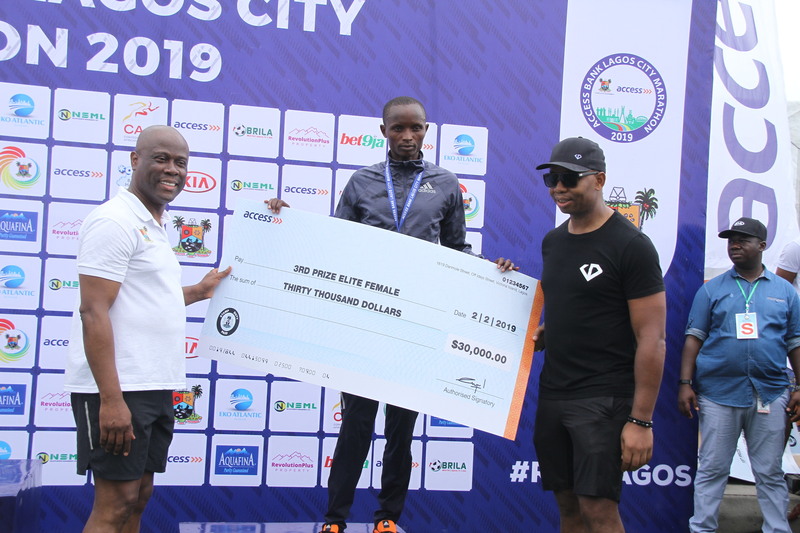 Lagos State Governor, Mr. Akinwunmi Ambode (3rd right), presenting the trophy to the Winner of the 2017 Lagos City Marathon, Abraham Kiptum from Kenya (middle) while 3rd Prize Winner, Kiprotich Kiroi from Kenya (2nd right); Group Managing Director, Access Bank, Mr. Herbert Wigwe (right); 2nd Prize Winner, Ronny Kipkoech Kiboss from kenya (3rd left); President, Nigeria Stock Exchange, Mr. Aigboje Aig-Imoukhuede (2nd left) and Deputy Governor, Dr. (Mrs) Oluranti Adebule (left) watch with admiration during the 2017 Lagos City Marathon at the Eko Atlantic City, on Saturday, February 11, 2017. 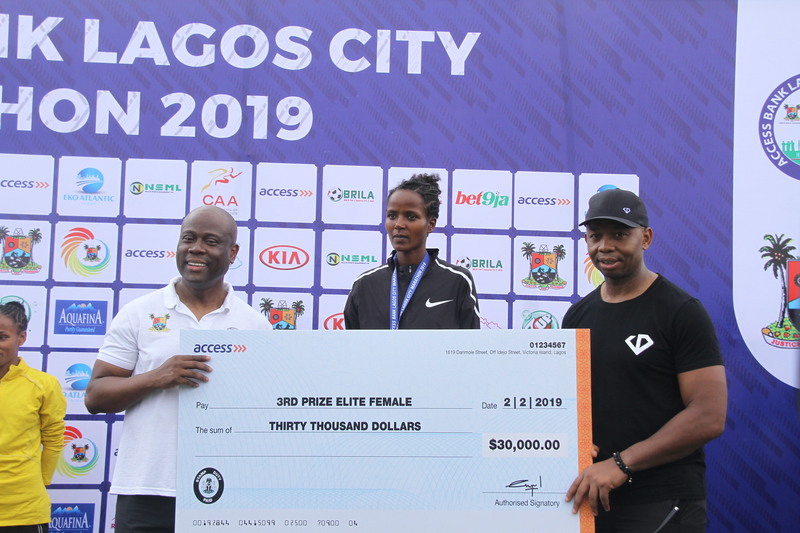 The race started at the National Stadium, Surulere by 7am and ended at the Eko Atlantic City in Victoria Island with over 50,000 athletes battling for the prize money. 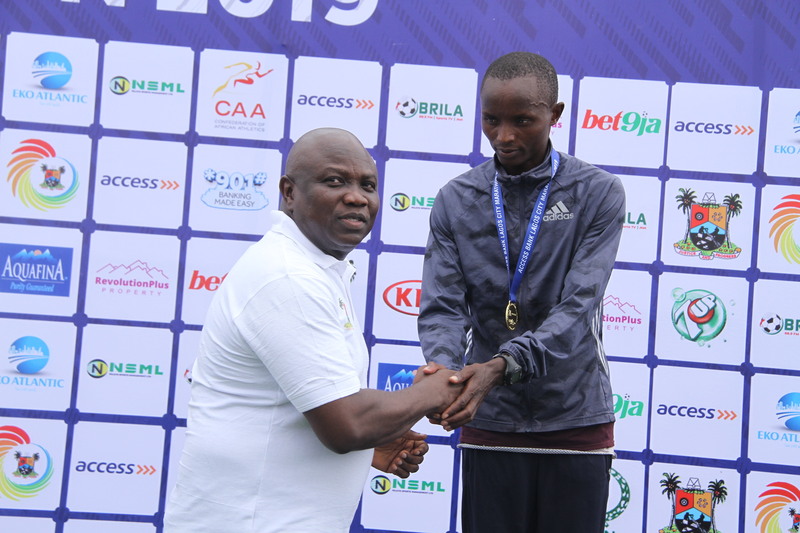 Speaking shortly before presenting the prizes to the winners at the Eko Atlantic City, Victoria Island, State Governor, Mr. Akinwunmi Ambode said his administration has begun steps to reposition sports in the State, assuring that no stone would be left unturned to achieve the aspiration. He said the success of the tourney marked another leg of his government’s dreams and aspiration to make State the destination of Sports in Africa. To this end, the Governor said the State would continue to explore and attract regional, continental and global sports events to drive home its mission, adding that the all round development of youths through sports remains paramount. Lagos State Governor, Mr. Akinwunmi Ambode (3rd right), his wife, Bolanle (2nd right); Majority Leader, House of Representatives, Hon. Femi Gbajabiamila (right); Deputy Governor, Dr. (Mrs) Oluranti Adebule (3rd left); Speaker, Lagos State House of Assembly, Rt. Hon. 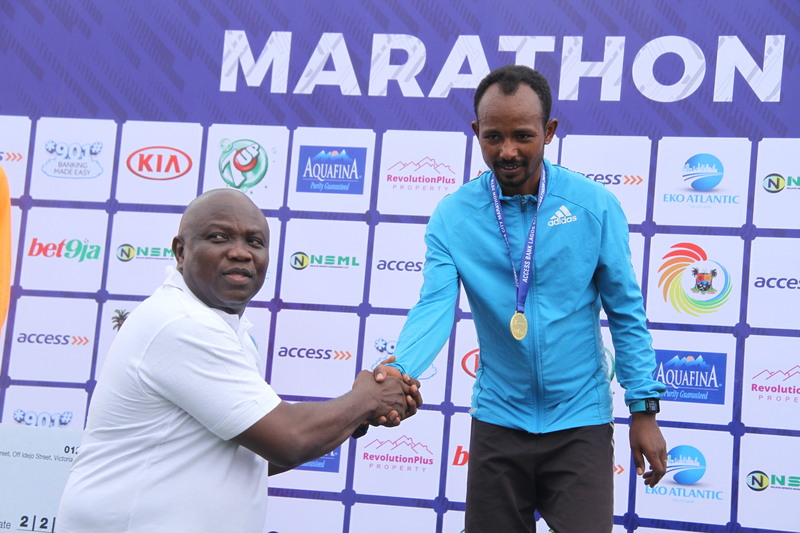 Mudashiru Obasa (2nd left) and Senator Adeola Olamilekan Solomon (left) during the 2017 Lagos City Marathon at the Eko Atlantic City, on Saturday, February 11, 2017. “Our commitment to continue to support our Youth in Sports Development is resolute, a part that we cannot depart from. 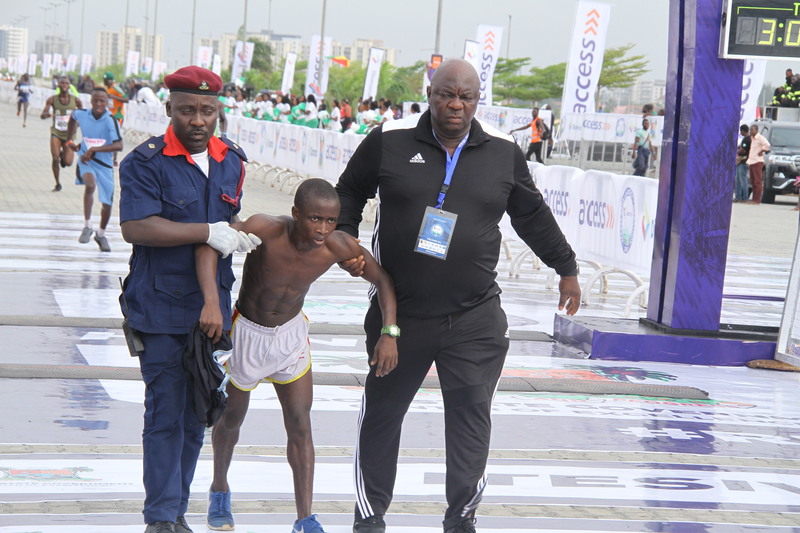 The Access Bank Lagos City Marathon is a testimony to this avowed commitment,” he said. 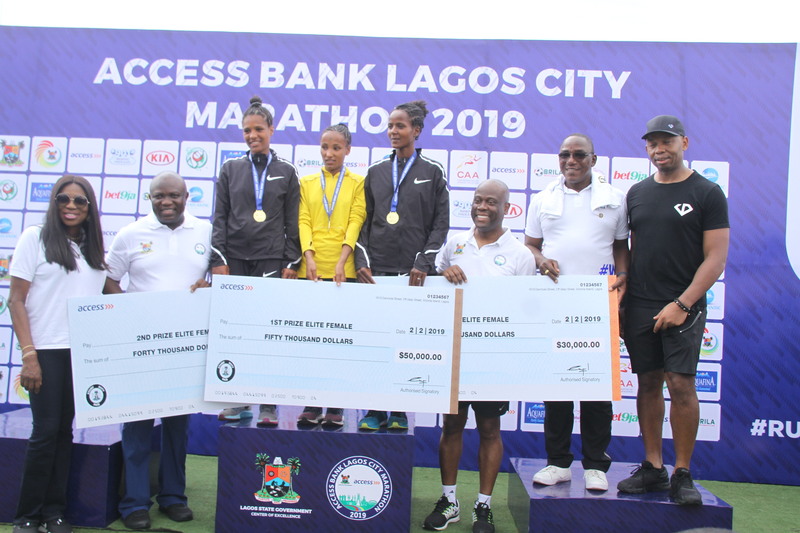 Governor Ambode said it was gratifying that the Marathon attracted the presence of the Athletics Federations Presidents from other countries, and participation of elite Athletes from four continents, 15 countries and about 50,000 athletes overall. 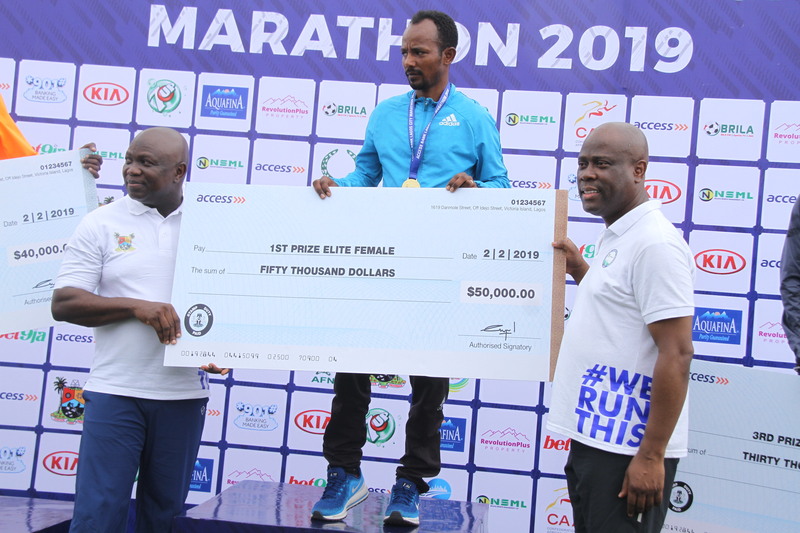 While expressing delight on the interest and participation of thousands of Nigerians in the Marathon, the Governor said that more importantly, the event had set a foundational infrastructure to put the State on the world map. “This mind blowing attendance underscores our determination to occupy a prime place in the Marathon Calendar worldwide and ultimately to be among the top ten Marathon races in the World. 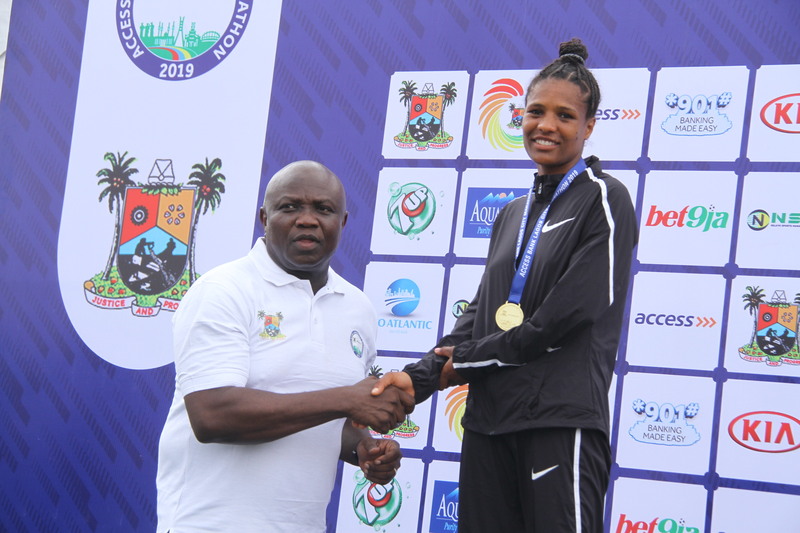 Governor Ambode said that going forward, his administration would remain committed to supporting outstanding Athletes on the local front and that proactive measures that will encourage and challenge them to excel would be put in place. “We are hugely encouraged by the local participation, which coincide with our mission on the Marathon. Let me reiterate that our collaboration with Access Bank Plc, Seven Up Bottling Company, Bet Naija and Eko Atlantic City is a template we intend to replicate in various sports across board,” he said. 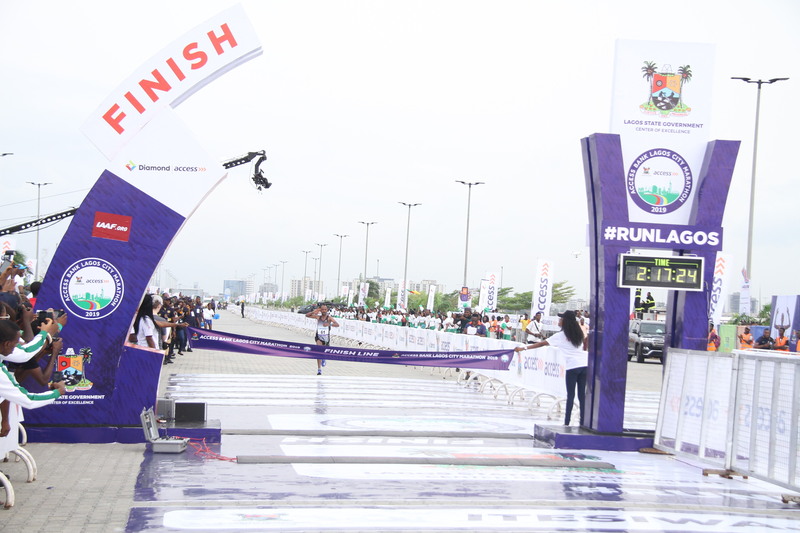 Governor Ambode said beyond the Marathon, the State Government would continue to use sports to drive inclusion and engagement of the citizenry most especially the youths, while Tourism, Arts and Entertainment will remain the cornerstone and pillars of support of his social contract with Lagosians and the international community. “In support of this, we have put in place a structured process of providing additional sports infrastructure in the various Zones of the State. “The target here is to ensure that no child is denied the opportunity of interaction with sports as early as possible in life while potential for career in sports can be identified for proper development,” he said. The Governor also announced that the next edition of the Marathon would hold on Saturday, February 10 2018. 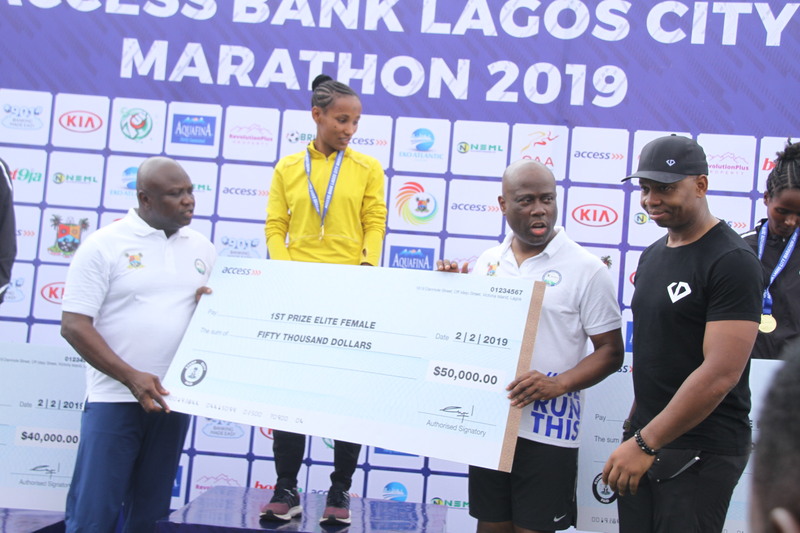 In his remarks, Managing Director of Access Bank, Mr Herbert Wigwe said the event, apart from showcasing the fact that Lagos is truly a safe place, the marathon had all the traits of world class tourney. 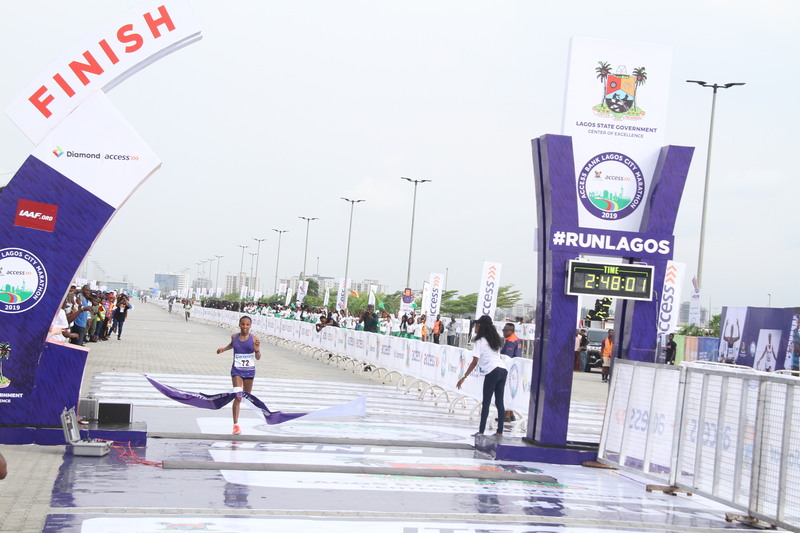 He said the marathon was also a pointer to the fact that Lagos is very much ready to receive the international world for business. 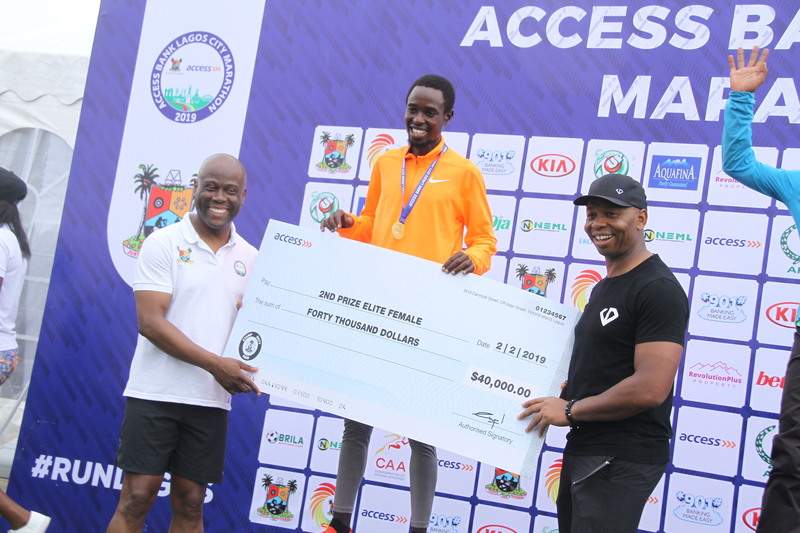 A total of 100, 000 athletes from 27 countries including Nigeria will be participating in the second edition of Access Bank Lagos Marathon billed to hold from 7am to 2pm on February 11, 2017. 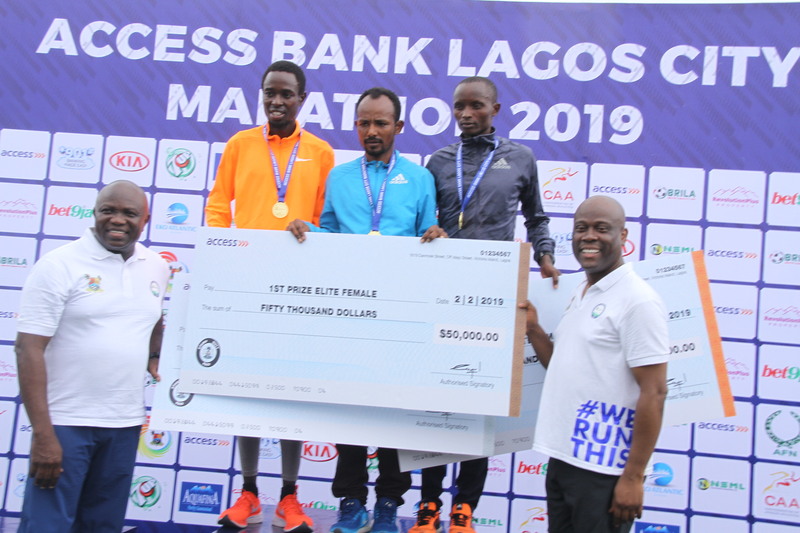 64 elite athletes from 26 countries and 102 from Nigeria, as well as 30 special athletes will also be participating in the marathon scheduled to start from National Stadium in Surulere and terminate at Eko Atlantic City in Victoria Island. 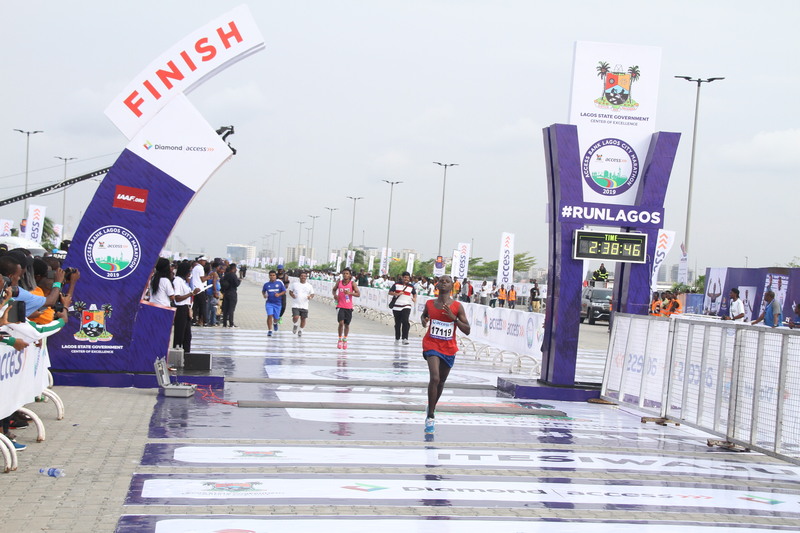 Addressing a world press conference on Friday at Eko Hotels and Suites, Lagos State Governor, Mr. Akinwunmi Ambode said adequate preparations have been put in place to ensure a successful event, assuring that the marathon had been designed to be bigger and better than the previous edition. L-R: Executive Director, Access Bank/Head of Organising Committee, Mr. Victor Etuokwu; Special Adviser/Chairman, Lagos State Sports Commission, Mr. Deji Tinubu; Acting President, International Association of Ultra Runners, Mr. Nadeem Khan and Marketing Director of 7UP, Mr. Norden Thurston during a press conference on the Lagos City Marathon at the Eko Hotels & Suites, Victoria Island, Lagos, on Friday, February 10, 2017. 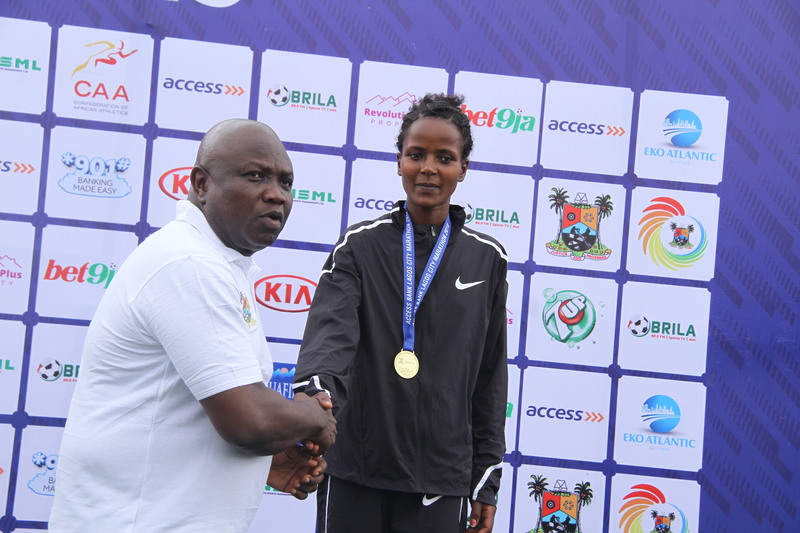 Governor Ambode, who addressed the briefing alongside President of the Athletics Federation of Nigeria (AFN), Mr Solomon Ogba; Acting President of International Association of Ultra runners, Mr Nadeem Khan; representatives of International Association of Athletics Federations (IAAF), and representatives of the sponsors of the event, said all the agencies of government participating in the event have been adequately mobilized, saying that Lagosians should expect the best. 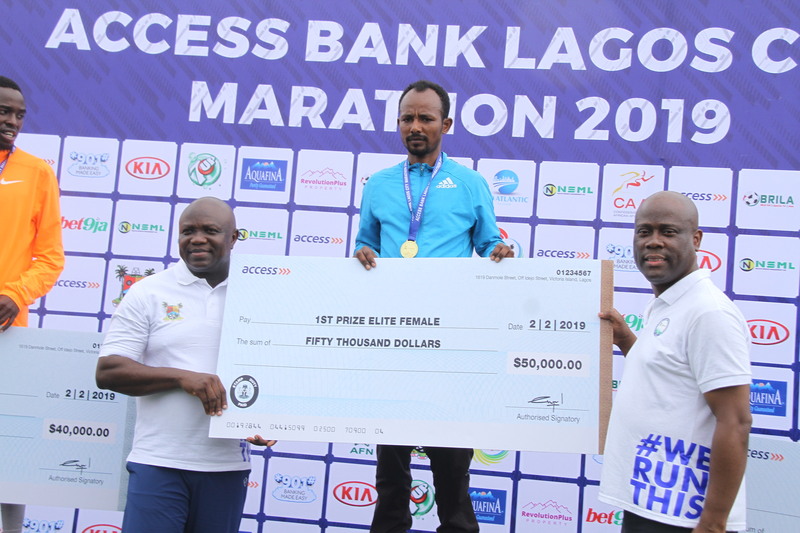 Speaking on the idea behind investing in the marathon, Governor Ambode, who was represented by his Special Adviser on Sports and Chairman of Lagos State Sports Commission, Mr Deji Tinubu, said the event was meant to showcase the excellence of Lagos to the world as well as encourage sporting activities among the people. 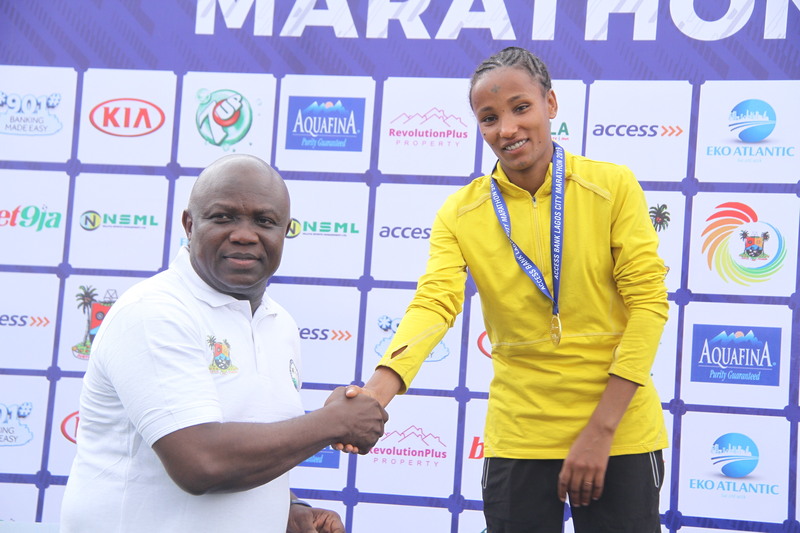 While appreciating all the sponsors that partnered with the State Government, Governor Ambode said it was gratifying to note that many of the participating athletes have picked up their running kits, while top notch security and logistics arrangement have been put in place. 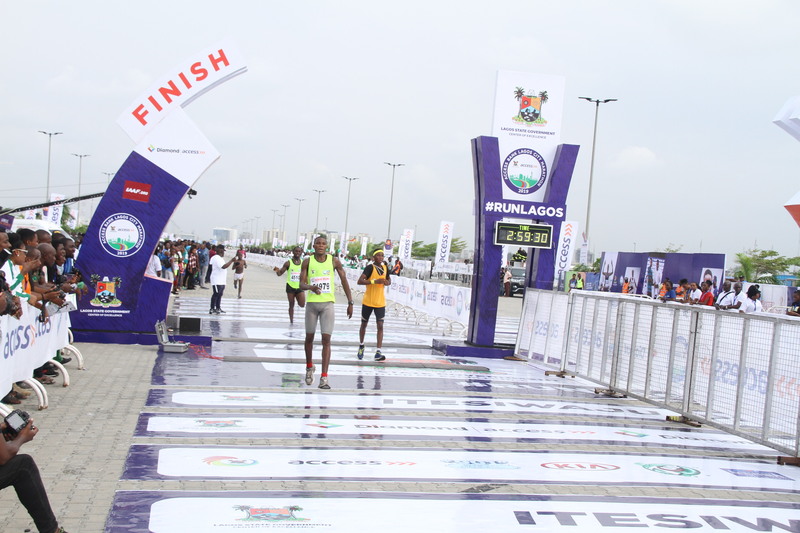 He also said that the Sole Administrators of the Local Government Areas of the routes of the marathon have also been adequately mobilized, while arrangement for entertainment and fun packs have also been perfected for those not participating in the marathon. 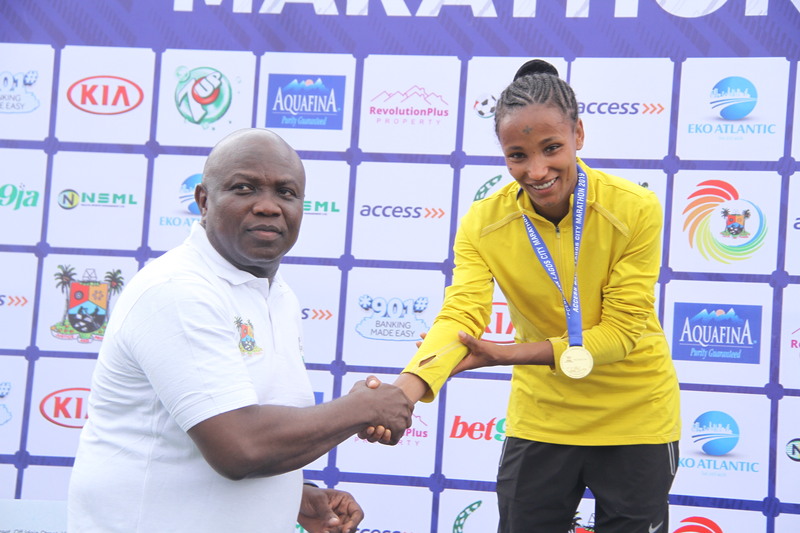 In his remarks, AFN President, Ogba said as the biggest commercial city and very important city in Africa, the Lagos Marathon was designed to be among the top ten marathons in the world, saying that he was indeed happy with the commitment of the present administration in the State led by Governor Ambode towards the marathon. He said it was a common knowledge that over 10,000 people travel to Lagos per day with no intention of going back and with a lot of attendant pressure on public infrastructure, adding that it was good thing that the government considered the event. 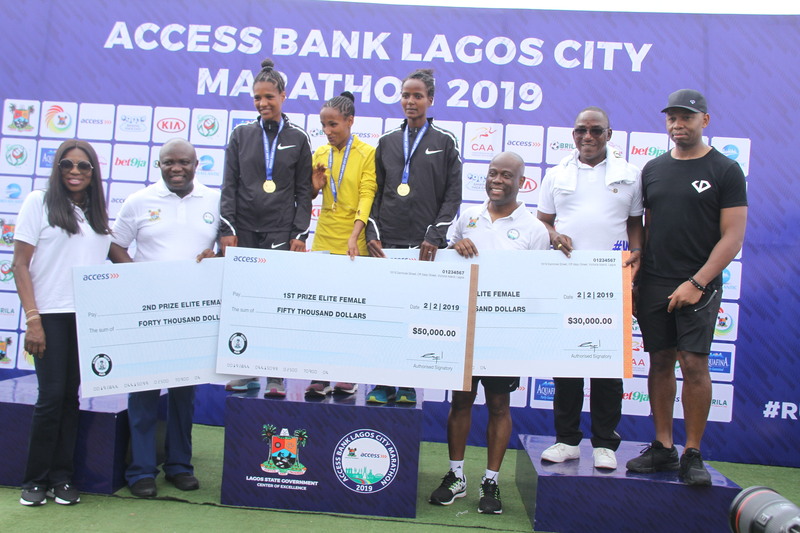 Also, Head of Organizing Committee of the Marathon and Executive Director of Access Bank, Mr. Victor Otoko recalled the success of the last year edition, saying that necessary preparation has been perfected to make this year’s edition hugely successful. He said provisions have been made for a total of 29 water stations along the marathon routes with adequate security to ensure that only the marathoners get access it, while all the special athletes participating in the marathon would be given appearance fees. 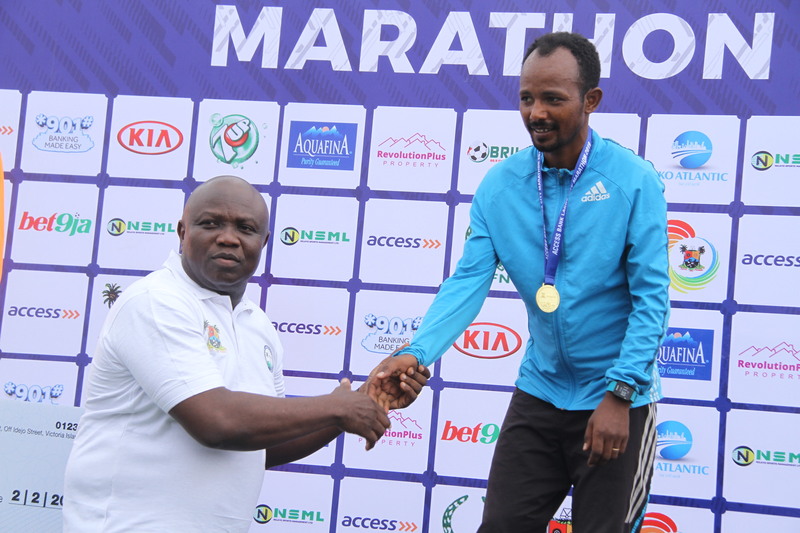 Explaining how the Marathon came into being, Project Consultant, Mr Bukola Olopade said Governor Ambode deserved to be commended for his sportsmanship that made it easy for the maiden event to be possible having given approval after presentation on the event. 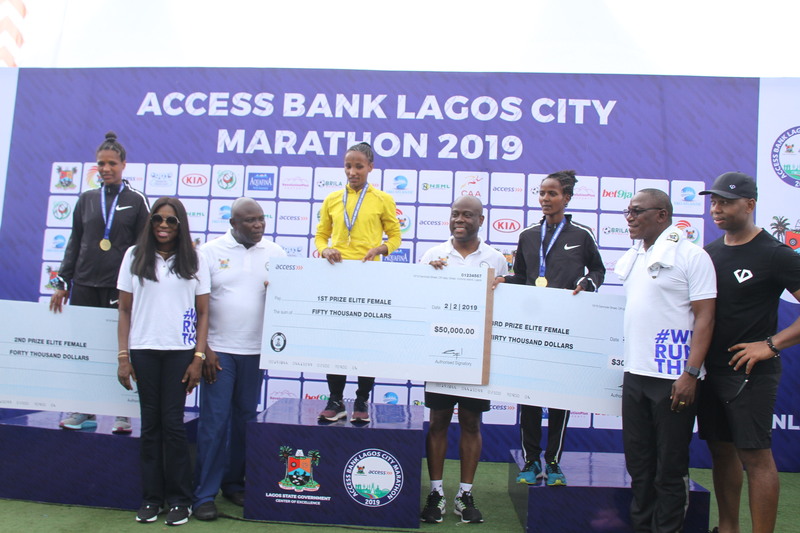 “Let me specially thank Governor Akinwunmi Ambode for understanding the context of hosting the event just within two minutes of discussing why Lagos, considered to be the hub of business activities in Nigeria and 5th largest economy in Africa should host the marathon,” Olopade said. The Second edition of the Access Bank Lagos City Marathon takes place on Saturday, February 11, 2017. For about 12 hours, some parts of our mega city, Lagos, will be temporarily closed to vehicular traffic for the safety and wellbeing of thousands of runners, hundreds of thousands of cheering fans and millions of the public. Find below ALTERNATIVE ROUTES that will ease the movements of the public who might not be watching the marathon live on television because they have urgent personal business to attend to and thousands who would want to join us at the finish where the best of Nigerian musicians and entertainers will be performing. All vehicles coming from Ikeja axis and heading towards Victoria Island MUST go via Ikorodu Road. All vehicles from Badagry, Mile 2 and their environs going towards Victoria Island MUST go through Apapa/Orile to link the Eko Bridge to Victoria Island. Residents of Lagos Mainland, Surulere and environs MUST avoid Masha Area and especially the National Stadium but can link Victoria Island through Iponri/Iganmu, via Eko Bridge through to Victoria Island. Vehicles coming from Ibadan, Mowe and environs can link Victoria Island through Ojota, Ikorodu Road via Eko Bridge to Victoria Island. Vehicles from Okota MUST go through Mile 2 to Orile, Eko Bridge to Victoria Island. From Sango-Otta going to Victoria Island MUST go through Mushin, Funso Williams Avenue (Western Avenue), Eko Bridge to Victoria Island. Vehicles coming from Epe, Ajah, Lekki environs must use the Lekki Alternative Route to Victoria Island. Ikoyi residents going to the Mainland can use the Alfred Rewane (Kingsway Road) link to Osborne then to the Mainland. From Adekunle Junction linking the Third Mainland Bridge, will be closed from 7.30am to 2:00pm. We thank the great the great people of Lagos for their cooperation and understanding.